Rising ocean temperatures, ocean acidification, and overfishing are destroying an environment that nearly 1 billion people depend on for their livelihood. 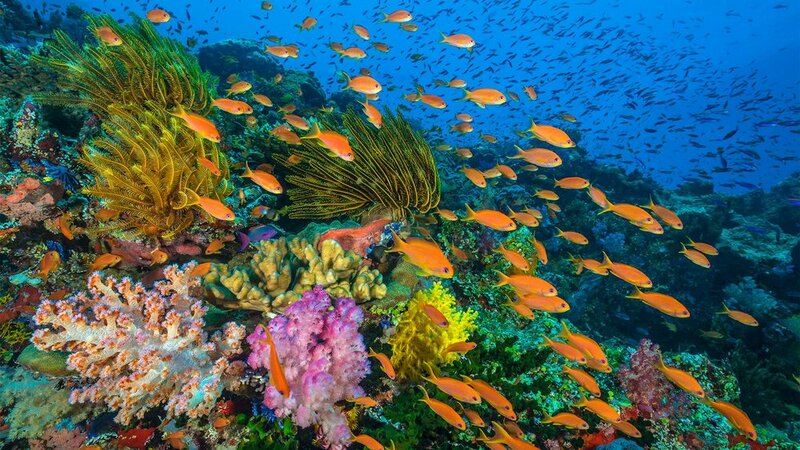 Coral reefs are essential to ocean life, tourist economies, and those who depend on the reefs for food. 75 percent of reefs are projected to have coral death by the year 2050. This could cripple countries that depend on coral reefs for tourism, protection from tides, and much more. The regions of the world that are most affected by coral reef deaths are Central America, the Pacific islands, Southeast Asia, Australia, Madagascar, and eastern African coasts. Coral Vita, a coral restoration company, is changing how governments, businesses, and individuals are approaching this pandemic. Coral Vita is using a for-profit model to restore life back to dying reefs through on--land coral farming. Nonprofits have spent the little grant money they have been approved for trying to reverse the death of coral reefs all over the world with in-ocean nurseries. However, Coral Vita’s land-based farming allows for more control over the restoration process and produces more resilient coral that can better withstand the rising water temperatures and acidification. Coral Vita uses a process called fragmentation to speed up coral growth by up to 40 percent. After collecting a piece of coral, they break it into several smaller pieces and place them in their land-based nursery filled with sea water. This process is vastly more effective than in-ocean nurseries, because it is easier to control variables such as temperature and pH. Coral Vita using a for-profit business model grants them independency from other monetary sources, which has proved very effective for them. Nonprofits have done great work, but since their funding is so low and operation costs are so high, they aren’t able to use more effective land-based nurseries. Coral Vita is a new company that is currently working to set up their first permanent on-land coral farm in Grand Bahama. Though they are just starting to apply their method, they have already been praised by Forbes in their “30 Under 30 - Social Entrepreneurs.” In addition to their first official coral farm, Coral Vita has started to implement their plan to help with ecotourism with what they call Coral Cabañas. In these cabañas, tourists will be able to see how well their process works, learn about the coral farming process, and plant coral alongside their team. If you are interested in helping fight for the world’s coral reefs, you can Adopt a Coral on Coral Vita’s website. Donations are how individuals can directly help protect regions around the world who are struggling with the effects of coral reef deaths http://www.coralvita.co/adopt-a-coral/.